67-mile wide path across the United States from Oregon to South Carolina. For more information on the Great American Solar Eclipse, check out NASA's website. Where can I see the eclipse at Obed? The entire area of the Obed Wild and Scenic River will fall under the path of totality for the eclipse, providing opportunities for viewing, weather permitting. The following are approximate durations for totality and locations in or near the park. The partial phases of the eclipse will begin at approximately 1 p.m. ET and end at approximately 4 p.m. ET. The total phase of the eclipse will occur at approximately 2:30 p.m. ET, with the duration of totality varying depending on the specific viewing location. Special viewing glasses are required in order to safely view the solar eclipse. A limited number of solar glasses will be available within the park. It is best to purchase them before you enter the park to ensure you have them for viewing. You may (and should) take them off only during the totality (less than two minutes) or you will miss the highlight of the eclipse! August is typically a busy time of year in the park. The solar eclipse will bring even more visitors to the area, so expect traffic delays and congested parking lots. Please note that eclipse viewers may need to make special plans to avoid viewing the astronomical event while caught in traffic. Contact the visitor center for alerts and current information. There will be no charge to participate. Vehicle access to these sites, though, may be closed when parking becomes full or roads become congested. Visitors may also view the eclipse from other areas of the park on their own. Obed Wild & Scenic River has one campground (Rock Creek Campground). Visit the park campground page for more information. Campgrounds and hotels in the area will fill up quickly for the eclipse. It is a good idea to book early. 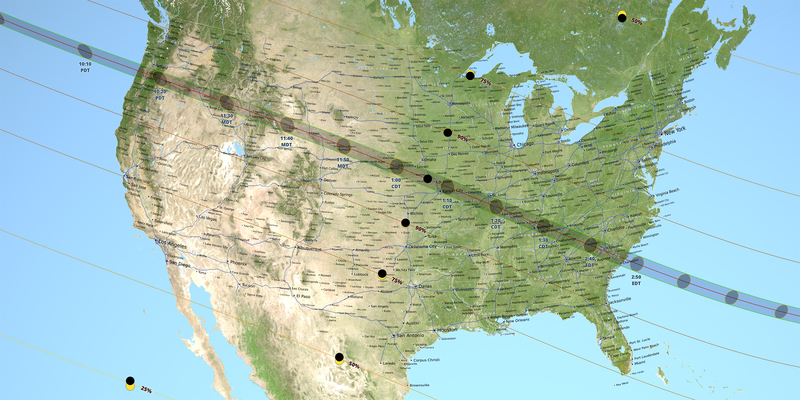 Click to download map of National Park Service sites in the path of the 2017 solar eclipse (7.73 MB). 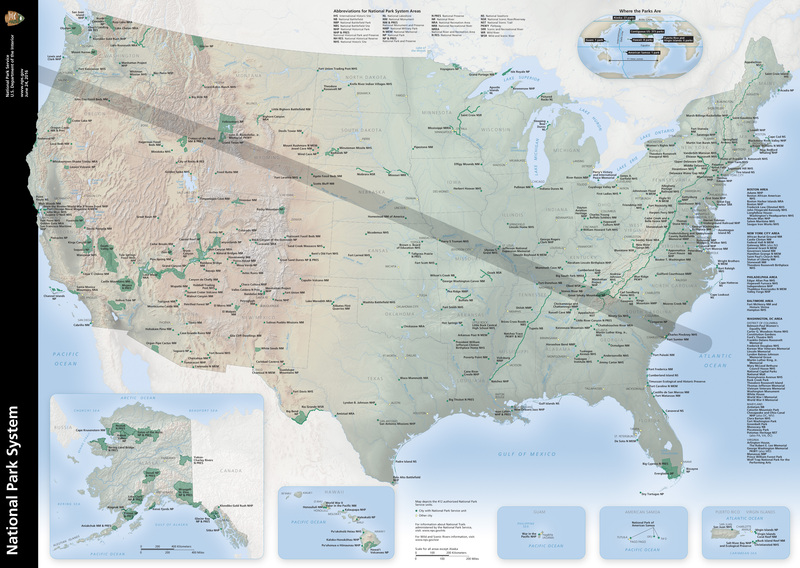 Map of the United States showing the path of totality for the August 21, 2017 total solar eclipse.